When it comes to natural deodorants, I have a large list of favorites that work perfectly fine for smelly, sweaty people like me. But when it comes to natural deodorants in stick form, my recommendations are a little more slim. Many natural stick deodorants suffer epic fails because of formulations that just don’t work in this type of packaging: Think crumbling messes, difficult application and the like. Leave it to Schmidt’s to figure out the best way to package an effective natural deodorant in this convenient way — perhaps this will get more people to make the switch. 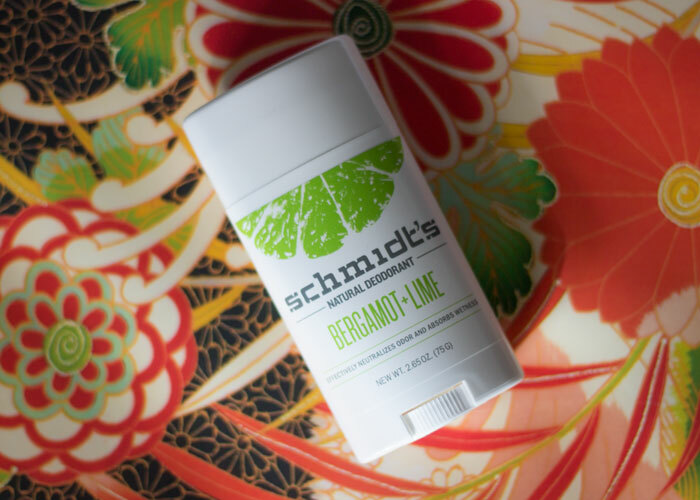 Available in five different scents (I like Bergamot + Lime), Schmidt’s Natural Stick Deodorant provides the ultimate protection against odor thanks to its fantastic formula made with arrowroot powder, coconut oil, candelilla wax, shea butter, baking soda and more. In stick form, this formula glides on relatively easily — except, as with any natural deodorants in cooler weather, may take a bit of warming against the skin to get a more even glide to help soften the oils, waxes and butters that tend to harden. When using Schmidt’s stick deodorant, I still like to even out the application with my fingers and wipe off any excess that forms around the lip of the applicator. So, that makes this not totally finger-free for me, but we’re coming a far way from the daily deodorant massage. But, I prefer Schmidt’s stick to the jar formula, which is very hard and takes some handling to get it to spread. Once it’s applied, the feeling is slightly sticky, but not uncomfortable. It takes about 10 minutes to truly set, so I apply my deodorant before I begin doing my hair and makeup; I get dressed last. I haven’t noticed any major sensitivity with this deodorant — just do not overapply! Overall, this deodorant is an absolute repurchase for me. I love that I have a reliable, natural stick deodorant to recommend to friends who are slowly cleaning up their personal care routine. Deodorant is always the most difficult transition, but having something as familiar as stick packaging makes it all the better! Have you tried Schmidt’s Natural Stick Deodorant? When did you transition to natural deodorant? What are your favorites? Tell me in the comments section.